The high temperature structure of ZnS, (Wurtzite over 1,020 °C), is successfully prepared at low temperature (170 °C) by co-precipitation and hydrothermal route in presence of ethylenediamine (EN) as coordination agent. 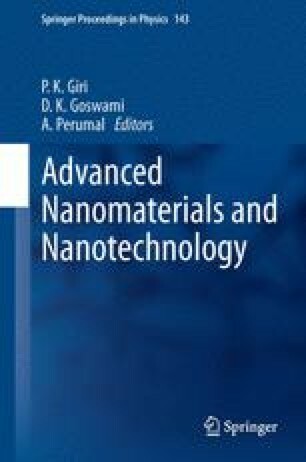 The effect of reaction route, and EN concentration on structure and morphology of ZnS nanocrystals are systematically investigated. We have demonstrated the structure transformation process from zinc blend to wurtzite with change in concentration of EN. Besides the structure evolution, morphological transformation from particles to rods and sheets, are also observed. To understand the low temperature structure transformation process of ZnS in presence of EN, chemical bonding approach is used. The bonding between Zn and S has been found to be admixture of covalent and ionic bond and transition from one bond state to other give rise to the phase transformation. The EN assists for formation of intermediate complex Zn-EN, which is responsible to modify the nature of bond of Zn–S, it initiates structure transformation. The geometry of structure of Zn–EN complex decides the growth direction of ZnS and thus morphology.